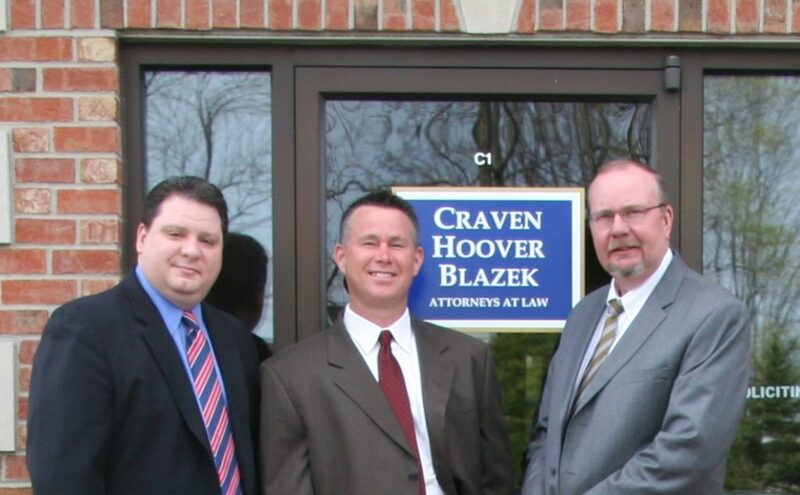 Craven, Hoover, & Blazek P.C. | Craven, Hoover, & Blazek P.C. If you are considering making a personal injury claim in Indiana, or have already begun the process, here are some important terms and definitions that will help you understand your case. If you have questions about accident claims, contact a seasoned Indianapolis personal injury law firm for trusted advice. The adjuster is a person that is employed or hired by an insurance company to possibly settle a personal injury claim. Their primary objective is to avoid paying any sort of remuneration if possible, or pay out as little as possible. In all cases of filing a civil claim against another person or entity, there is a legal time limit to do so called a “statute of limitations.” In Indiana, you can find some details regarding civil statute of limitations in Title 34, Article 11, Chapter 2 of the Indiana Code book. The claimant is the person filing the personal injury claim. This can be one person, the victim, or the family of a victim. Once a claim is filed in a court of law, the claimant become the plaintiff. As we already know, the term “party” refers to either the plaintiff side or the defendant side. Well, first party is always the plaintiff side, in particular, their insurance company. A plaintiff might file a claim with their insurance company for more money for damages or possibly an uninsured claim when the defendant does not have liability coverage. Recklessness can be colloquially-defined as unreasonable and/or deliberate misconduct of a person. It is an act that upsets or alarms our society’s morals. The term liability refers to one’s obligation or responsibility. For example, if a drunk driver causes another driver injury, the drunk driver and/or their insurance company is liable for the victim’s damages. They are the ones who will pay for the injured victim’s claim. Malfeasance is an intentional illegal action or wrongdoing that causes another person harm. Misfeasance is a term used to describe a lawful act that is improperly performed, either by negligence or intention, causing harm to another person. Almost every personal injury case is based on the legal principle of negligence. Under this principle, if a person or company’s negligent actions causes another person harm, they can be held legally responsible for the victim’s damages and losses. Nonfeasance is a term used to describe “a deliberate or neglectful failure to act” where action is required, that directly results in or allows another person to be harmed or injured. A person is liable or guilty of nonfeasance usually under three circumstances: 1) the person had a duty of care to the victim, 2) they failed to act on their duty of care, or 3) the act resulted in the victim’s injuries. The term “party” refers to either the defendant’s side or the plaintiff’s side. A personal injury is any type of harm or damage done to a person either physically, mentally, or emotionally as a result of another person or entity’s negligence. Personal injuries take place when another person or entity (i.e. people, businesses, corporations, enterprises, companies, organizations, workplaces, etc.) demonstrates carelessness or negligence in a situation that subsequently causes injury or damage to another person. Personal injury protection insurance is a type of medical payments coverage for drivers and passengers who are injured in a motor vehicle accident. Under this policy, all or a portion of medical expenses and hospital bills (driver and passengers) are paid for no matter who is to blame for an auto accident. No-fault accident states require this type of insurance coverage. Different from third party insurance, a third party claim is when a person files an additional claim against a separate entity involved in causing their injuries. For example, if a person is severely assaulted at work, they can possibly file a worker’s compensation claim (first party claim) with the company’s insurance provider, and then they can file a third party claim against the person who assaulted them at work. This is a defendant’s insurance company. It is commonly the insurance companies that pay out compensations or negotiates recompense in personal injury cases. Torts are civil wrong-doings, or immoral behaviors and actions against civilians. Also referred to as the “At-Fault Party”, the tortfeasor is the actual person who was negligent and caused someone harm or damage. They can also be the defendant if they are the ones being sued. In the case of a minor, the parents might be the defendants, while the juvenile is the actual tortfeasor. When facing criminal charges, the Indiana judicial system gives most defendants the choice of accepting a public defender, free of charge. In contrast, civil litigation does not offer free counsel under law, which includes personal injury cases. However, this does not mean you, as a victim of a negligent accident, would have to pay a lump sum of cash upfront for personal injury lawyer services. Continue reading to learn what you need to know about paying for accident representation in Indiana, including which Indianapolis personal injury law firm to trust with your claim. Common payment arrangements used by lawyers include flat rates, hourly rates, retainers, and contingent fees. Flat rate fees are generally arranged for basic and simple legal services, like divorces and wills. Hourly fees are the most common payment arrangement for lawyers, and vary in price depending on the lawyer’s experience; they can be anywhere from $50 to $1,000 per hour or more, however, it varies among law firms. Retainers are used for certain cases and charged upfront before services are rendered. As clients are billed, the amount is deducted from the retainer as the case proceeds. When you begin your search for a personal injury law firm, you will likely come across the phrase, “contingency-fee basis”, which is very important to understand when setting aside a budget for a potential lawsuit. Working on contingent basically means that the lawyers do not get paid unless they recover a settlement for you. Most law firms that practice personal injury law use this pricing model. 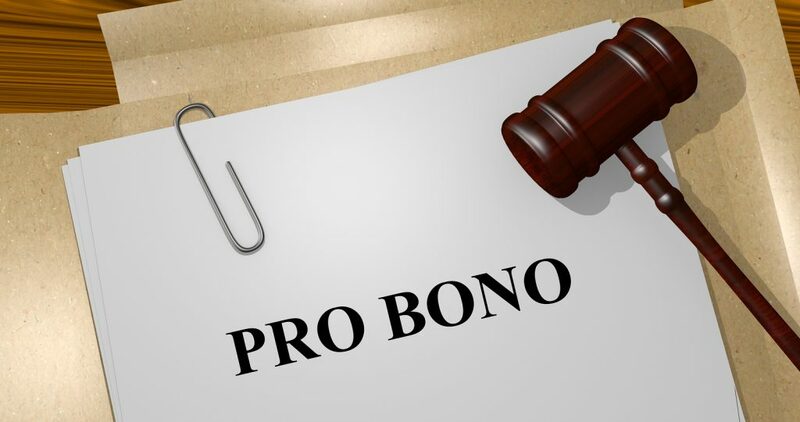 Lawyers who work on contingency will not require any upfront lawyer fees, however, you will be responsible for paying other fees, such as court costs, filing fees, and similar pecuniary obligations. However, the Law Office of Craven, Hoover, and Blazek P.C. will not require up front payment of fees, court costs, etc… See our blog, “How Much Does it Cost to Hire an Accident Lawyer?” to learn more. When a personal injury lawyer successfully recovers a settlement, the client will then owe them for their services. The way a law firm collects their fees will vary, but most often, a pre-determined percentage is deducted from the final settlement as their payment. 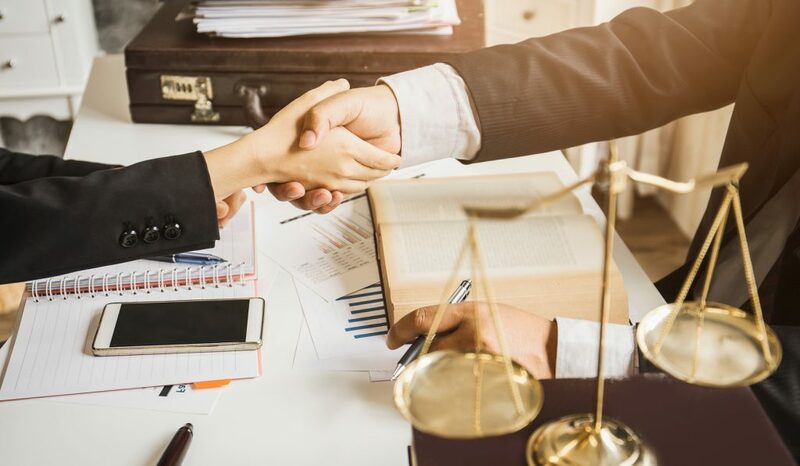 On contingency, if a law firm does not recover a settlement or judgment for a client, there are no attorney fees, with the exception being if the attorney obtained an offer and then the client tried to settle the case without their attorney. Normally, accident lawyers collect one third of the settlement recovered, but again, this can vary depending on the law firm and the type the case. Where Can I Find a Contingency Fee Personal Injury Lawyer in Indiana? Contact the Law Office of Craven, Hoover, and Blazek P.C. at 317-881-2700 for personal injury claims in Indianapolis and throughout Indiana. We offer free initial consultations and never collect lawyer fees unless we are successful with your claim. Call our office today to determine your eligibility for personal injury compensation in Indiana. Although not common, in a personal injury case, there are times when it might make more sense for a claimant to accept a lower settlement than what they believe they are owed. It is important to hire a seasoned personal injury law firm to represent your accident claim in order to obtain the fullest and fairest amount of compensation for your damages and losses. With a skilled and experienced law firm in your corner, you do not have to be concerned about low settlement offers. However, it may help to learn what circumstances could lead some claimants to agree to lower compensation. Continue reading to learn these scenarios, and where get professional legal advice regarding your personal injury claim. ☛ The claimant’s case is weak or uncertain because they may not have enough evidence to prove all of the elements of their case in court. They would be better offer accepting whatever offer is put on the table before a lawsuit is considered, otherwise, they could walk away with nothing in the end. ☛ The claimant’s injuries and ultimate losses are minor, small, or fairly minimal. For instance, a claim should be intended to recover compensation for losses like medical bills, lost wages, pain, suffering, and similar consequences. If their damages and losses do not mount up to much, and/or their injuries are insignificant, a lower offer is likely the best option. ☛ The claimant’s settlement offer is at the maximum of the policy limits, so no more can be paid out even if the settlement seems too low. For example, if the opposing party’s liability insurance policy is set at a maximum of $25,000, and that is the settlement they offer, a claimant is not likely to get more than that even if they are awarded a larger amount in court. Large corporations are an exception to this since they tend to have more money and assets outside of their insurance policies; but a private party may not have the assets to pay out more, even if ordered to in court. In any event, defendants can also file for bankruptcy which can significantly negatively affect any chance of any recovery above and beyond liability insurance policy limits. Keep in mind that once a claimant accepts an offer, there is no turning back. This means that in the case that their injuries worsen or their damages add up in cost later on, they cannot make another claim for more compensation. Be sure to have a licensed personal injury lawyer working your claim as soon as possible after the injury or death occurs to ensure your rights to compensation are fully protected and executed. Call The Law Office of Craven, Hoover, and Blazek P.C. at 317-881-2700 to make a personal injury claim in Indianapolis, Indiana and anywhere else throughout the State of Indiana. We are well-versed and experienced in several practice areas, from slip and fall accident claims, to car accidents, big truck accidents, workers’ compensation, wrongful death, and much more. When you walk into our office for your free consultation, you will instantly feel confident that you are in good hands. Call 317-881-2700 to get started, today. Now that the weather finally permits, golfers all across the state are getting their golf gear ready for the season. And maybe this year you will finally decide to walk the course rather than ride! But if this resolution falls through, there is no need to get down on yourself; after all, a golf cart allows you to get even more rounds in per day! But before you hop on a golf kart, whether you are driving or riding along, it is important to know where you stand in terms of legal liability and rights. Many golf courses offer carts to ride, which do not require specialized permit or license to operate. In fact, here in Indiana, you can operate a golf cart if you are 16 years old with a valid drivers’ license. In addition to having a valid drivers’ license, golf cart operators must obey all Indiana traffic and driving laws, which also apply in the case of an accident. Continue reading to learn more about golf cart accidents and liability in Indiana. Golf carts are safe; right? After all, teenagers are legally allowed to operate them under lenient conditions. But golf carts can pose several risks, and even fatalities. According to the Consumer Products Safety Commission (CPSC), roughly 15,000 people in the United States suffer injuries related to golf carts per year, and some injuries even result in dozens of deaths. The most common types of golf cart accidents involve collisions, tip-overs, and throws, all of which can result in a wide spectrum of orthopedic, muscle, and flesh injuries. The CPSC further reports that nearly 40% of these golf cart-related injuries are sustained as a result of someone falling out of a moving golf cart. Although golf carts are just as dangerous as a standard motor vehicle, in comparison, there are significantly fewer laws and regulations governing them. For instance, golf carts are not required to have seat belts, airbags, and other vital safety features, which paints a picture of how serious injuries can be if an accident does occur. Fortunately, there are laws in place that do protect those injured in golf cart-related accidents, so long as they are not at-fault for their injuries. There are many people or entities that can be held legally liable in the case of a golf cart accident. Common at-fault parties include other golfers, club staff members, course managers, club owner, cart manufacturer, and more. If you were injured in a golf cart accident as a result of someone else’s negligence, it is vital to contact an Indianapolis personal injury law firm as soon as possible. You may be eligible for remuneration to cover hospital bills, medical expenses, lost wages, and more. Contact the law office of Craven, Hoover, and Blazek P.C. at 317-881-2700 to file a personal injury claim in Indianapolis, Indiana. Seasoned accident attorneys, Daniel Craven, Ralph Hoover, and Keith Blazek, can help you recover the full and fair compensation you deserve after suffering a golf cart injury. We offer free initial consultations and never collect attorney fees unless we prevail for you. We represent clients throughout the State of Indiana. 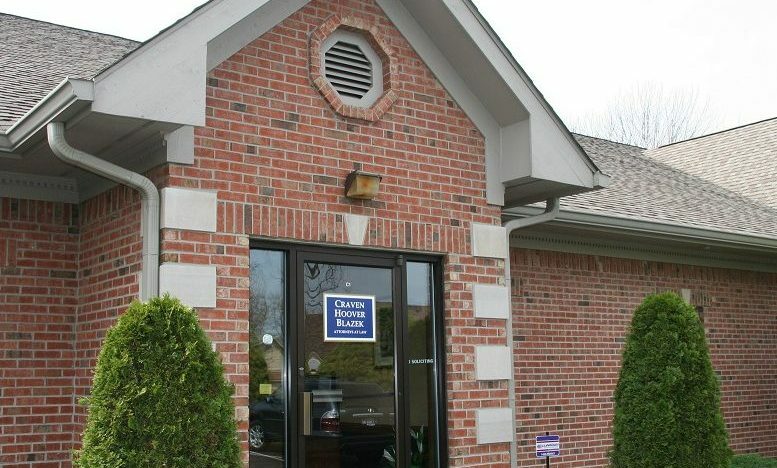 Call 317-881-2700 to schedule an appointment with our Indianapolis personal injury lawyers, today. Each state has a separate set of laws that oversee wrongful deaths cases. Indiana defines wrongful death in IC 34-23-1-1, which states in part, “When the death of one is caused by the wrongful act or omission of another (…).” In plainest terms, it is a personal injury case in which the injured victim dies. In the case that a person or corporation causes an accident that results in another’s death, they can be held legally responsible in a court of law for the subsequent damages and losses suffered by the victim’s relatives. Understanding wrongful death claims can be tricky since every case differs in great detail. Furthermore, there are various complex laws surrounding such claims, making it even more challenging to comprehend your rights to compensation. If you or anyone you know has been involved in an accident that resulted in the death of another person, it is vital that you consult with an experienced personal injury lawyer who specializes in wrongful death cases to learn the best strategies for your claim. For a better understanding of what to expect, continue below to review some of the most frequently asked questions about wrongful death cases in Indiana. The person who makes the wrongful death claim is usually the victim’s estate representative. If they were married, it would likely be their spouse; if they had no spouse, but children, it could be them. Typically, it is the person who retains ownership of the property or is listed in the will. If there is no family or pre-appointed representative for the estate, there may be no one to file suit and handle their wrongful death case. Although the claim must be brought forward by an estate representative, the awarded damages may be allocated to other members of the family, including dependents. In Indiana, a person usually has 2 years from the date of the accident to make a claim against the wrongdoer, although their can be earlier deadlines for governmental entities. See our blog, “Can a Personal Injury Statute of Limitations Be Extended?” to learn about statute of limitations deadlines, extensions, and more. If you believe you have missed your deadline to make a wrongful death claim, contact an Indianapolis personal injury lawyer for details regarding your options. What Types of Damages are Awarded in Wrongful Death Settlements? Civil damages are awarded in wrongful death settlements, which serve the sole purpose of compensating surviving relatives and members of the estate for all of the related losses resulted from the death of the victim. Indiana allows spouses and children to recover damages for funeral and burial expenses, medical expenses, hospital bills, lost wages, lost benefits provided by the deceased, counseling costs, legal costs, and more. 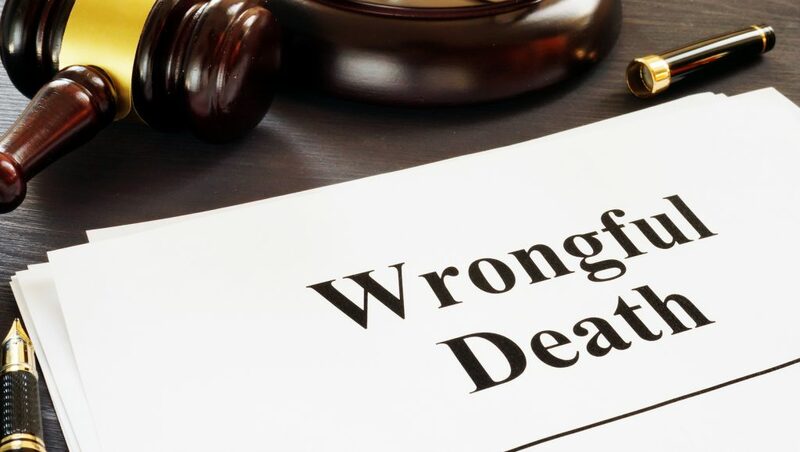 Do I Need to Hire a Wrongful Death Lawyer? Wrongful death claims are incredibly complex, and the laws and procedures surrounding them are as well. In order to recover the full and fair compensation you deserve, you will need an experienced personal injury attorney who is well-versed and experienced in wrongful death cases representing your claim from start to finish. They have the knowledge, skills, and resources to accurately navigate your claim and argue your case if it goes to trial. How Do I Make a Wrongful Death Claim in Indianapolis? 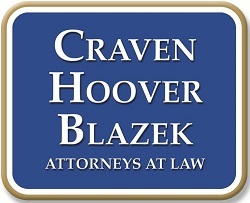 Contact the Law Firm of Craven, Hoover, and Blazek P.C. at 317-881-2700 to learn more about your wrongful death claim in Indianapolis, Indiana and throughout the State of Indiana. Our seasoned personal injury lawyers are eager to help all victims of wrongful deaths in the family to recover compensation for their medical expenses, hospital bills, lost wages, and more. We offer free initial consultations and work on a contingency-fee basis, which means you do not pay a dime unless we win a settlement for you. Call today to get started. Were you seriously injured in an accident that was not your fault, and now you are afraid you’ve missed your deadline to file a claim for compensation? If so, there is some important information about personal injury statute of limitations you need to know before moving forward. 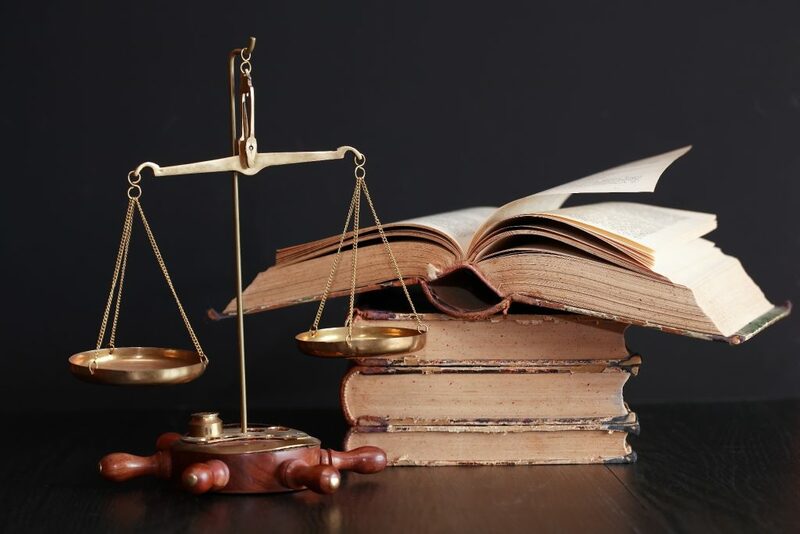 Statute of limitations are a type of state or federal ordinance or law that sets a time frame in which a person can bring forth legal proceedings in order to enforce their rights, either in criminal or civil court. Personal injury claims are brought forth in civil court. The purpose of such laws is to thwart fraudulent claims brought into action after all evidence is lost or gone. After a long period of time, evidence is lost and witness testimony can be weakened by missing persons or faulty memories. 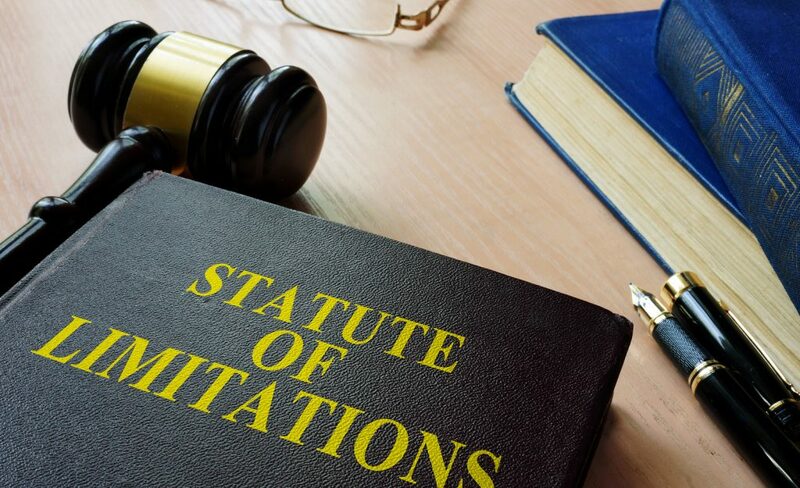 Although criminal statute of limitations are generally longer, as much as five years or more, most personal injury claims retain an average statute of limitations of 2 years or less, depending on the details of the case. As for Indiana, you can find some specifics regarding civil statute of limitations in Title 34, Article 11, Chapter 2 of the Indiana Code book. In addition, claims against political subdivisions or the state should be made immediately. If a person misses the deadline to make a personal injury claim, there are usually no other alternatives and their case will likely be dismissed. However, on rare occasions, the statute of limitations may be extended under special circumstances. Basically, if there are legal grounds for extended or altering the statute of limitations for a civil claim, they may be granted. These exceptions vary from state to state; each state has their own set of rules and procedures for such extensions. For this reason, if you have questions or concerns about making a personal injury claim on time, it is vital that you consult with a seasoned Indianapolis personal injury lawyer for professional guidance. In legal terms, extending a statute of limitations deadline is referred to as “tolling” the running of the statute’s clock. This is more like pausing the clock, rather than extending the deadline. And although the action of tolling the clock is rare, and the laws that governs it varies among states, there are some cases in which it does occur. Granted extensions to the statute of limitations deadline may be given to personal injury victims who were minors at the time of the accident, or legally incapacitated (or declared legally incompetent). Extensions might also be approved if the at-fault party fled or hid from the state after the accident, or unlawfully attempted to conceal the occurrence of the accident or the role they played in causing injuries to the victim. Contact the Law Office of Craven, Hoover, and Blazek P.C. at 317-881-2700 to discuss the best course of action for your Indianapolis personal injury claim. Our seasoned lawyers can recover the full and fair compensation you deserve for your resulting damages and losses, including hospital bills, medical expenses, pain and suffering, lost wages, and more. Additionally, we offer free initial consultations and never collect attorney fees unless we prevail for you. Call today to schedule your consultation. Car rental companies make substantial revenue from selling insurance coverage to their customers. But do you really need this added insurance protection along with your existing automotive insurance policy? Continue reading to find out more about car insurance coverage in a rented car, as well as, what your options might be if you are injured in an accident while driving one. 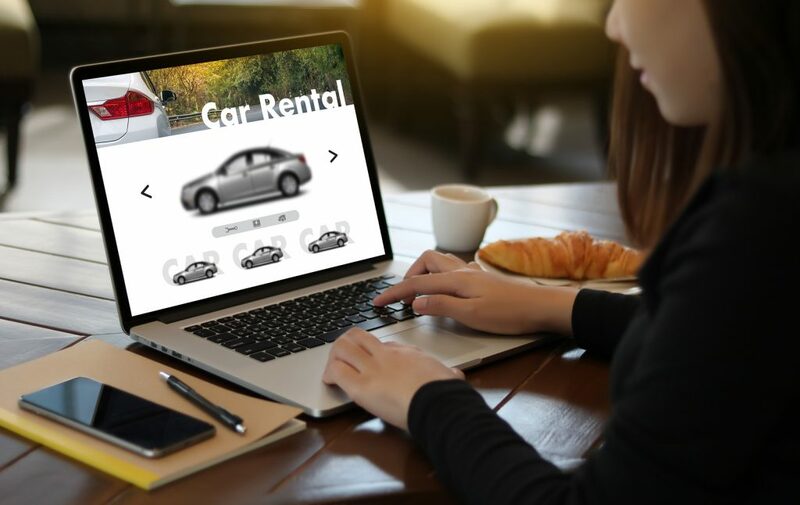 When renting a vehicle, you will be faced with the option of adding extra insurance coverage, offered by the rental company in a series of packages and prices. The cost of these supplementary protection plans vary from as little as $15 per day, to as high as $100 or more. It all depends on the plan you choose, the type of car you are renting, and more. Most often, customers opt for more insurance coverage for the sake of abating risk and liability. But is the cost worth it? Your existing automotive insurance policy, and even your bank card services, may already provide you with sufficient coverage in the case of an accident in a rental car. You see, most car insurance policies, including liability, comprehensive, and collision, cover any vehicles driven by the policy holder, whether they own the vehicle or not. In the case that a driver of a rental car is found at-fault for the accident, they will likely be required to pay the deductible, as they would for any other standard accident. For this reason, and for the sake of avoiding liability, it is vital that you have a full understanding of your automotive insurance policy BEFORE renting a vehicle. Your understanding must include what would happen if you were to be involved in a car accident while driving a rental vehicle, your extent of coverage, and the method of payment. See our blog, “Can I File a Personal Injury Claim After a Rental Car Accident?” to learn more about your rights to compensation in a rental car accident. If you were injured in a car accident, contact a seasoned car accident attorney who can help you recover the full and fair compensation you deserve for your damages and losses. Call the Law Office of Craven, Hoover, and Blazek P.C. at 317-881-2700 to learn just how to get started on your car accident claim in Indianapolis, Indiana. Our law firm offers free initial consultations, and never collects lawyer fees unless we recover a settlement for you. Workers’ compensation is usually a blessing for those injured on the job. 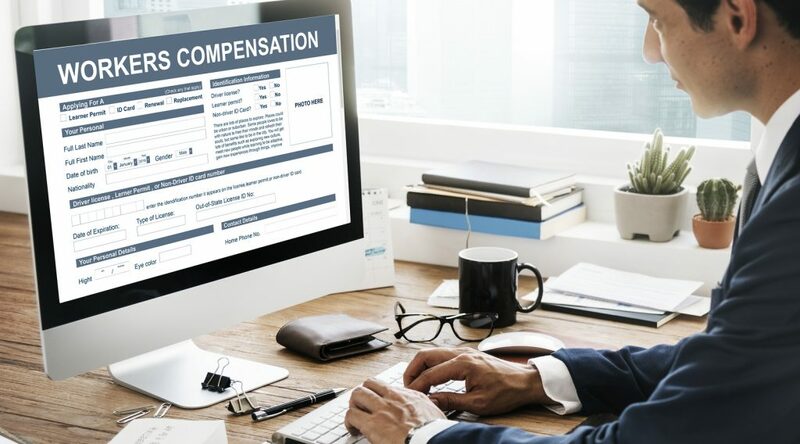 Learn what to expect from standard workers’ compensation benefits, and what you can do if your expectations are not sufficiently met. It is common for people who are injured on the job through no fault of their own to collect workers’ compensation benefits. The amount of compensation and extent of benefits awarded to injured workers largely depends on the degree of their injuries and damages. Damages can include but are not limited to lost wages, medical expenses, hospital bills and set sums for any impairment. If you were recently injured at work, it is strongly suggested to hire a seasoned personal injury attorney who specializes in workers’ compensation claims to help you recover the full and fair settlement you deserve. Not all workers’ compensation claims are for physical injuries. Although most involve some sort of bodily harm, mental anguish or trauma can be just as damaging. Personal injury/worker compensation cases can involve assault, battery; or even contracting a work-related illness or disease, experiencing an armed robbery, and much more. ☑ Benefits for any permanent total or partial disability. There are several other types of benefits available to those injured on the job, however, they vary depending on the company’s policies, insurance coverage, the extent of injury, and much more. It is encouraged to discuss your recent work injury with a licensed Indianapolis workers’ compensation lawyer for accurate case assessment and legal guidance. They have the proper resources, experience, and knowledge to navigate your workers’ compensation claim. In order to recover the full and fair compensation deserved to an injured victim and their family, a personal injury lawyer is the path to take. Be sure your personal injury law firm employs attorneys with extensive trial and litigation experience in workers’ compensation cases. This will further ensure you are choosing a lawyer that can successfully navigate your claim and have a better chance of recovering for your damages and losses. Contact the Law Office of Craven, Hoover, and Blazek P.C. at 317-881-2700 to learn the best course of action for your Indianapolis workplace injury claim. Our seasoned personal injury lawyers can obtain the full and fair compensation you deserve for your resulting damages and losses, including hospital bills, medical expenses, lost wages, and more. Additionally, we offer free initial consultations and never collect attorney fees unless we prevail for you. From the beginning days of workers’ compensation law, people who have suffered hearing loss due to their job have been making injury claims with their employers insurance carriers. If you believe you are a victim of workplace-induced hearing loss, this blog is for you. Continue reading to learn what you need to know about making a workers’ compensation claim for hearing loss in Indiana, including who to trust to represent you and your case and how to get started. 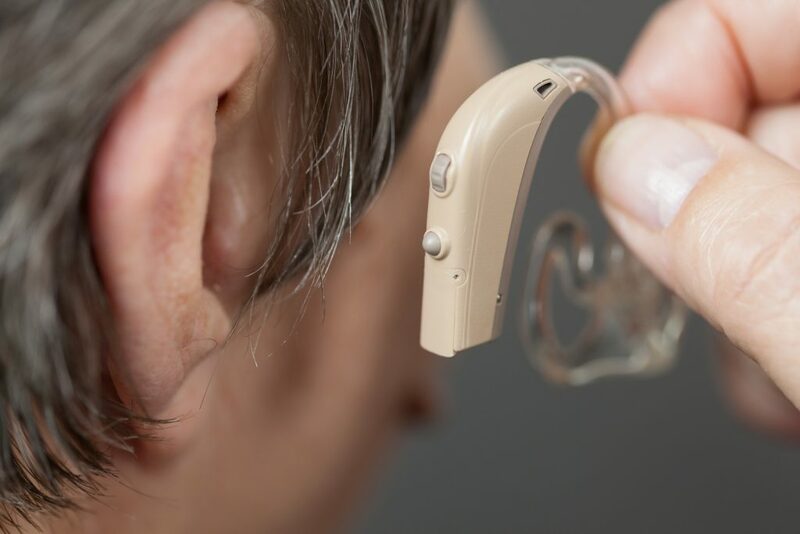 Workers’ compensation claims for hearing loss are complex since the technical definitions, methods of evaluating its severity, and approaches to compensate for it, differ among states. It is important to meet with a licensed Indiana personal injury lawyer for professional and accurate legal advice regarding your hearing loss injuries. It is also wise to learn what you can about making a workers’ compensation claim for hearing loss, what the laws say about such workplace injuries, and more. Standard sound is measured in decibels (dB). For a better understanding of decibels, consider these examples: A pin dropping is 10 decibels; conversational speech is around 60dB; flushing a toilet is 75dB; a lawn mower is 90dB; a table saw is 105 dB; a jackhammer is around 110dB; the sound of an emergency siren is 115dB; peak stadium crowd noise is around 130dB; a shotgun is 160dB. As you can gather, many of these noises are part of everyday jobs, like construction workers, landscapers, first responders, stadium staff, factory workers, subway workers, and more. Depending on the type of vocation, the level of noise can vary, thus resulting in varying effects. A person can suffer injuries from common noises, whether exposed just one time or over a long period of time. Both long-term low noise levels and short-term high noise levels can cause damage to the inner ear where the hair cells are found. The trouble is, once these inner ear hair cells are damaged, they cannot be restored. Because of the real potential damage to hearing, the Occupational Safety and Health Administration (OSHA) sets limits for employee noise exposure. These limits are 90dB for 8 hours a day, and 2 hours of exposure to 100dB. Think back to the examples of noise levels discussed before; a police siren is 115 decibels, while a jackhammer averages around 110 decibels. Although the Occupational Safety and Health Administration (OSHA) also requires employers to equip their staff with the proper protective gear, ear damage can still occur. Different states have different formulas and procedures for compensating injured workers for hearing loss. Furthermore, various factors influence eligibility and max limits for compensation. For instance, states like Pennsylvania and Delaware commonly compensate injured victims with Temporary Total Disability, Partial Disability, or Permanent and Total Disability benefits, but they use different formulas for providing such benefits. See our blog, “A Brief Explanation of Temporary Total, Temporary Partial, and Permanent Total Disability Benefits” to understand these types of benefits. Keep in mind, your rights to compensation for workplace hearing loss will be dependent on various specific factors, which is why it is necessary to consult with a reputable personal injury lawyer who is well-versed in Indiana workers’ compensation law. Did You Suffer Hearing Loss at Work? Hearing loss is one of several occupational conditions that can be sustained by employees here in Indiana. If you believe you are a victim of workplace-induced hearing loss or ear damage, contact the Law Office of Craven, Hoover, and Blazek P.C. at 317-881-2700 to learn you rights and eligibility for compensation. We offer free initial consultations so you can discuss your workplace injuries with a seasoned Indiana personal injury lawyer, in person. Motor vehicle accidents are all too common throughout the country, and happen for a large number of reasons. Sometimes, nature interferes and there is not much drivers can do to protect themselves from an accident or collision. But mostly, car accidents occur as a result of some degree of carelessness, whether at the fault of the driver, or someone else. According to the Association for Safe International Road Travel (ASIRT), nearly 1.25 million people are killed in road crashes every year, which averages out to 3,287 deaths per day, and an additional 20 to 50 million are seriously injured or disabled. Here in Indiana, the statistics for annual car accidents are not much different. According to statistics gathered by the U.S. Department of Transportation (USDOT) and National Highway Traffic Safety Administration (NHTSA), the total number of motor vehicle accidents have increased by 10% since 2005, with a 44% increase in motorcycle accidents. What can we do to reduce the number of road crashes in our state? To start, we can commit to safer driving habits, and increase our awareness on the road for other reckless drivers. Continue reading to learn what the Indiana Criminal Justice Institute (ICJI) says are the top causes for motor vehicle accidents in Indiana, as well as, what to do if you are negligently injured by a careless driver. Impaired Driving – Driving under the influence of alcohol, drugs, or a controlled substance is considered impaired driving under Indiana state law. According to the NHTSA’s Fatality Analysis Reporting System (FARS), 22% of all traffic-related fatalities were caused by impaired drivers. Reckless Driving – Reckless driving is a common cause for motor vehicle accidents, and includes any form of driving that is dangerous or irresponsible. The most common examples of reckless driving that has led to car accidents in Indiana are speeding, failing to yield, tailgating, unsafe passing, changing lanes without looking, ignoring road signs, and driving the wrong way on a one-way road. Distracted Driving – Distracted driving causes several car accidents each year in Indiana. The Traffic Safety Division reports that recently, nearly 500 traffic accidents were caused by cell phone distractions. Examples that cause accidents include texting, eating, reaching for kids or items in the back seat, reading, cell phone talking, and pets. 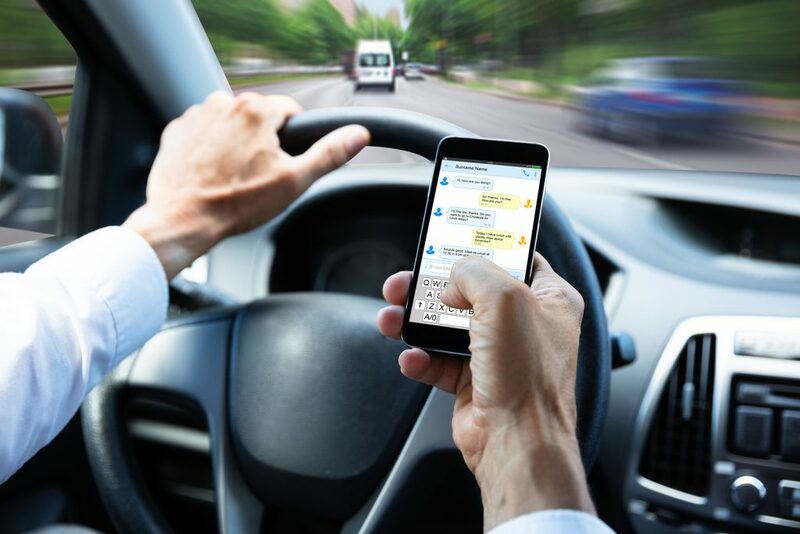 Fatigued Driving – Fatigued and drowsy driving are similar to both distracted driving and impaired driving since it takes a driver’s focus away from the road. According to the Traffic Safety Division, fatigued driving recently caused over 1,600 accidents. Backing Up – Unsafely backing up is another common cause for serious car accidents, especially among pedestrians and children. Although newer model vehicles have technologies such as cameras and alarms, which help drivers see behind them, these accidents can still occur when drivers do not use the proper precautions when reversing their vehicles. If you were injured in a car accident as a result of another’s careless, please contact the Law Office of Craven, Hoover, and Blazek P.C. at 317-881-2700 to schedule a free initial consultation with a licensed car accident attorney who can help. You may be entitled to compensation for your related losses and damages, such as medical expenses, hospital bills, lost wages from work, pain and suffering, and much more. We never collect lawyer fees unless we recover a settlement for you. Get started today by scheduling your free consultation.